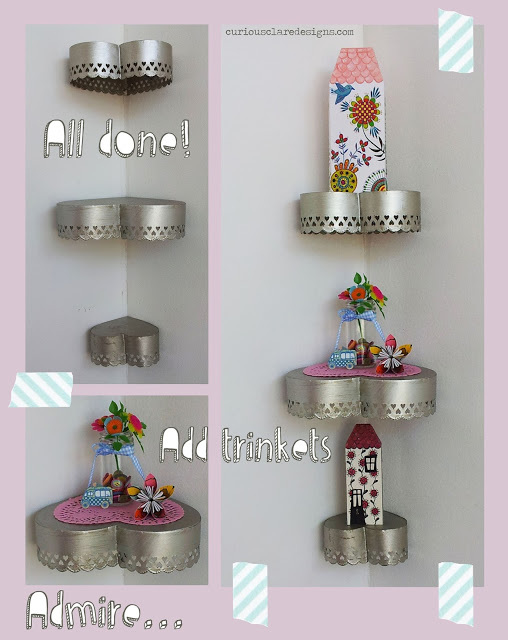 Tutorial, using heart tins as shelves!!! 1.) 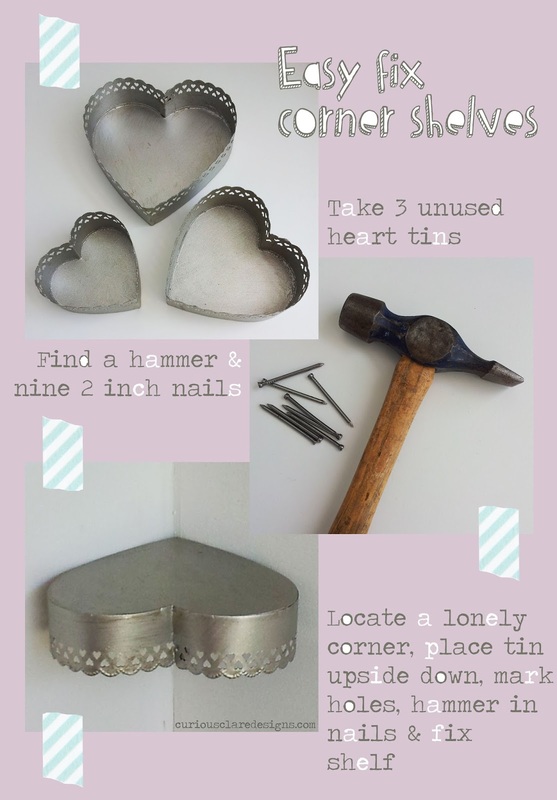 Basically, take a heart shaped tin with a holey/lacy edge. If your tin doesn’t have ready made holes it would be simple enough to carefully 3x drill holes at each side where the tin touches the wall and one near the point where the corner of the wall will be.